Participants included thought leaders and industry experts from the world of ship finance, shipowning, maritime finance law, insurance, technology, government and many more as we welcome global trade and shipping in New York. 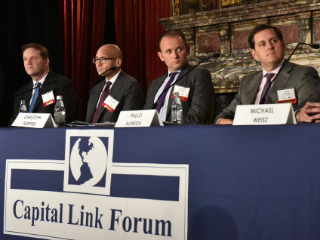 Capitalizing on the long established track record of organizing highly successful large scale maritime conferences in major industry centers around the world, the “10th Annual Capital Link New York Maritime” Forum took place on Tuesday, October 9, 2018 at the Metropolitan Club in New York City. The Forum was organised in partnership with DNB, in cooperation with New York Stock Exchange, Nasdaq, New York City Economic Development Corporation and The Port Authority of NY & NJ. 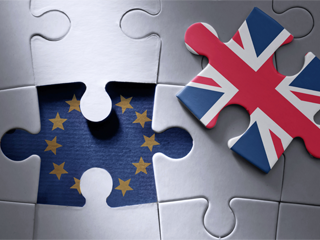 The Forum is an investment and an industry event with a double objective. First, to provide an interactive platform for investors, financiers, cargo owners and shipowners to discuss the latest developments in the global shipping and commodity markets, as well as in the financial and capital markets. Second, to showcase and promote the role of New York as a hub for the global maritime community and attract more business to New York targeting a global industry audience. With these objectives in mind, we are delighted to announce the below events took place throughout the “Capital Link New York Maritime Week” from October 8 – 10, 2018. For more information, please visit: forums.capitallink.com/shipping/2018NYmaritime.